February 13 - Lionel Messi, the world's best footballer, will miss London 2012 after the two-time defending Olympic champions Argentina failed to qualify for the tournament. Argentina missed out despite beating Colombia 2-0 in their final match of the South American Under-20 Championships. Earlier results, however, meant that Argentina needed its great rivals Brazil to lose by five clear goals to Uruguay in their final match. But the Brazilians trashed Uruguay 6-0 to win the Championships and qualify for the 2012 London Olympics. Three goals from Lucas, two from €45 million (£38 million/$58 million)) Chelsea target Neymar and another from Danilo completed the rout against the Uruguayans, who had already reached the Olympics by virtue of their runner-up placing. Argentina had claimed the Olympic gold medal at Athens in 2004 and Beijing in 2008, when the team was led by Messi, Barcelonia's talisman who was recently won the 2010 FIFA Ballon d'Or at the age of 23. Messi's team-mates in Beijing included former Liverpool star Javier Mascherano and Sergio Agüero (pictured with Messi), who is interesting several English Premier League clubs. 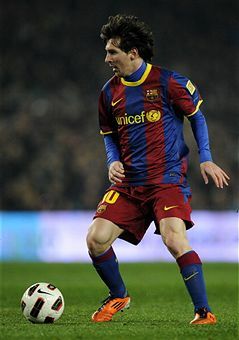 Messi had hoped to take part in London as one of three over-age players each country is allowed to pick. 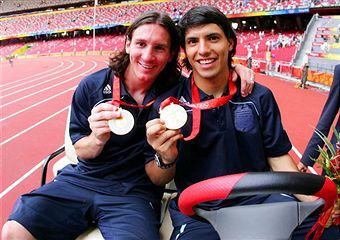 But his absence from London 2012 will please Barcelona, who are among several leading European clubs who are trying to prevent their top players taking part in the Olympics. Argentine coach Walter Perazzo tried to put a brave face on being excluded from London. "We achieved the main goal, which was the [qualifying for the under-20] World Cup," he said. Despite the thrashing by Brazil, Uruguay's qualification for London is another significant boost for the sport there coming less than a year after they reached the semi-final of the FIFA World Cup in South Africa last year. Uruguay has won two gold medal at the Olympics one in 1924 and the other in 1928. Their performance in qualifying for London has been hailed by the Uruguayan press. The daily Ultimas Noticas headlined "Hello London". 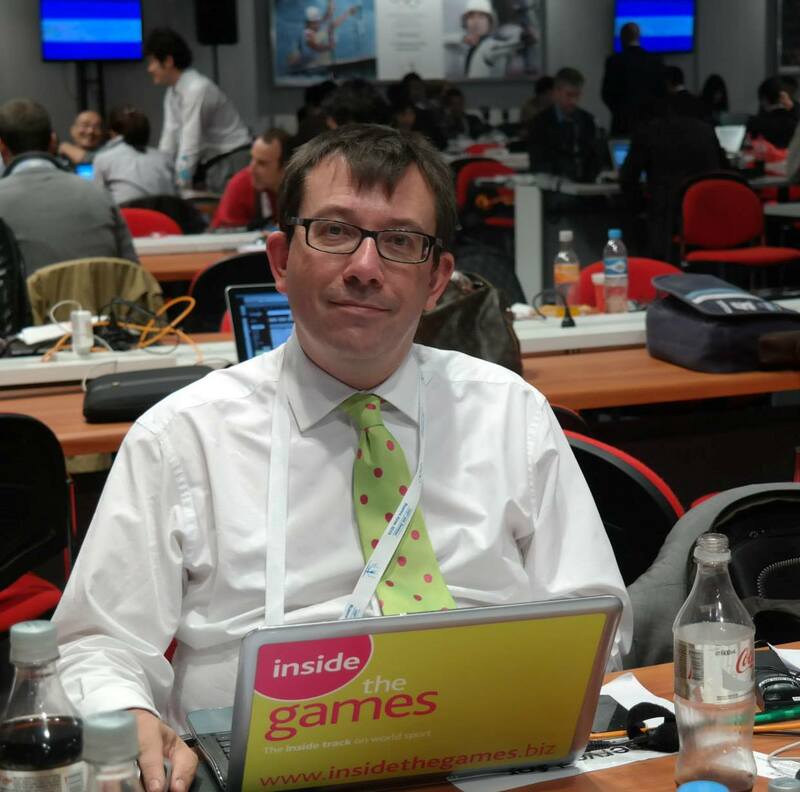 "The soccer of the Olympic Games will welcome a long-time absent force," said El Pais. "And it could not come better than at the expense have the king of the last two tournaments [Argentina]."